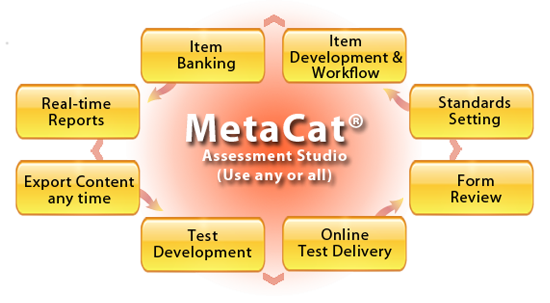 MetaCat Assessment Studio is a full-service assessment platform used since 2000 by national and state education agencies, higher education, and in the professional certification and licensure markets. Tools can be used independently or seamlessly integrated. Copyright (c) 2016 MetaLogic, Inc. All rights reserved.